Shen was born in China and grew up in Hawaii. Micro was born and bred in Tokyo. Shen had visited Japan many times while growing up and they met in Tokyo and started their music collaborations in 2000. 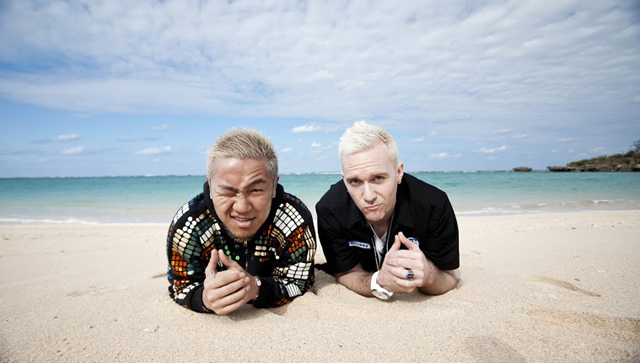 Their three albums; 1st album “Def Tech” (2005), 2nd album “Lokahi Lani” (2005), and 3rd album “Catch The Wave” (2006), recorded a phenomenal sales and made a solid position in the Japanese music scene. Their total record sales marked over 5 million copies. In 2006, Def Tech went on a concert tour including Nippon Budokan ―― a massive success and released two DVDs, “Budokan” and “OKINAWA LIVE” which include their performances from the tour. In September 2007, they disbanded due to the difference of their musical directions. After their solo activities and collaborations with other artists, Shen and Micro reunited and started recording together in 2010. In June 2010, they suddenly uploaded the music video of “A-1” on their official website which received over 200,000 views on the first day. In August 2010, they gave a guerrilla performance at Summer Sonic without any advance notice and had audiences of over 5,000. In October 2010, Def Tech released their 4th album “Mind Shift,” which topped in the album sales chart at iTunes music store in Japan. In February 2011, they went on a tour and gave the fans a steady impression of the reunion. This year, they appeared at another performance at Summer Sonic 2011 and had audiences of over 7,000. In September, they performed for their first time at high school festivals in affected area of Tohoku. Def Tech started the production of the 5th album from the beginning of 2011 in Japan and Hawaii. And now the new album “UP,” including 13 songs, will be released on October 5, 2011. They will perform a live concert at Budokan on November 11, 2011, named “DefTech 11.11.11 BUDOKAN Special! !”.